Love outback adventures? Then, you’ll love all the free and fun things to do with the whole family from the Sunshine Coast all the way to the Gold Coast, Australia. It’s the perfect holiday destination for all seasons of the year. Temperatures remain a cool 18 to 23 degrees Celsius during the day and dip to a cooler 9 to 15 degrees Celsius during the night in winter. From June to August, it’s great weather for kids as they don’t really break a sweat no matter how energetic they may be. 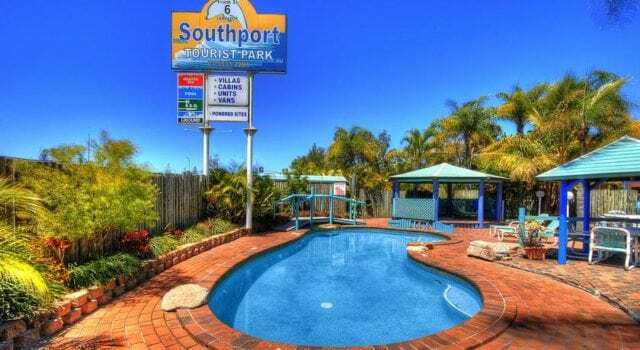 Located 100km north of the state capital, Brisbane in South East Queensland, the Sunshine Coast is a leisurely 1-hour drive from Brisbane and easily accessible from Brisbane Airport. 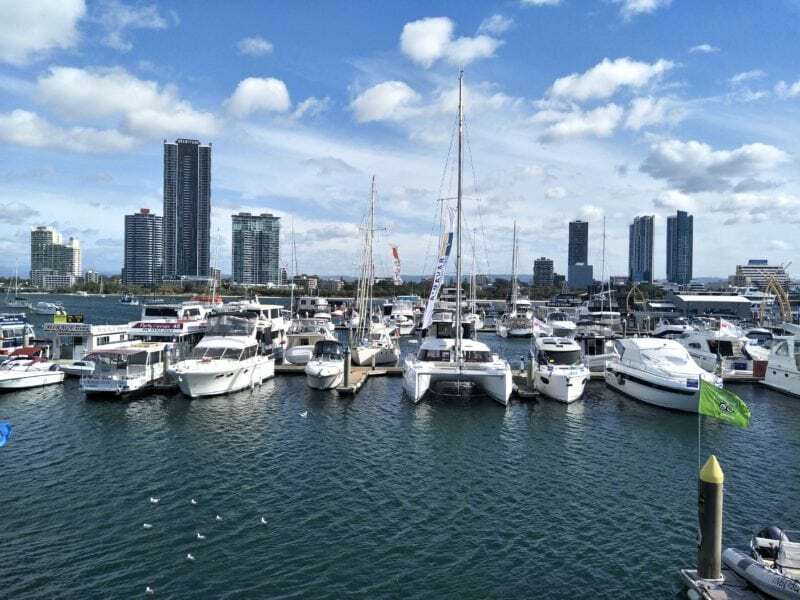 When flying from Singapore to Gold Coast airport, it is a 2-hour drive to the Sunshine Coast. There are flights available from Singapore to Brisbane from $400 to $613 depending on the time you travel. Alternatively, you can also fly to Sydney and take a 14h bus to your destination. 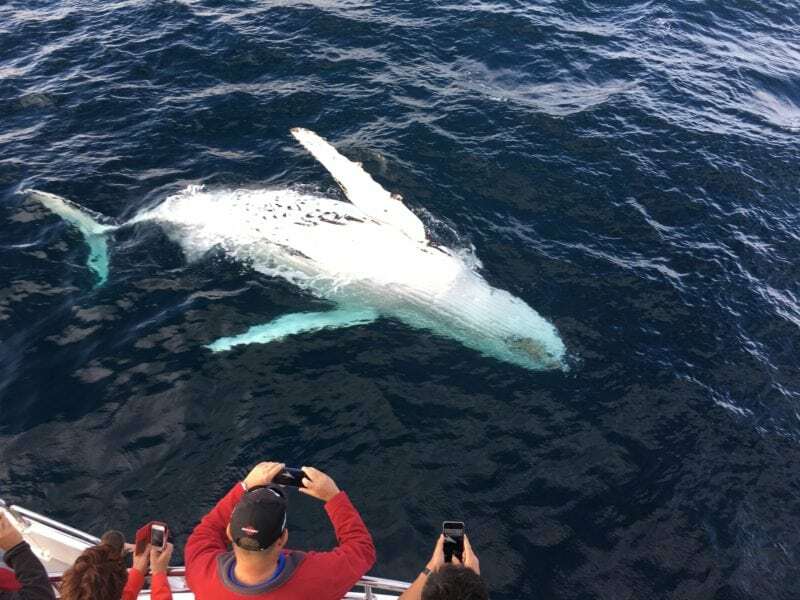 Most travel itineraries to the Sunshine Coast will likely include attractions like the Australia Zoo and Sea Life that may cost a pretty penny for admission. However, there’s plenty to see and do that’s equally exciting yet free for the whole family. 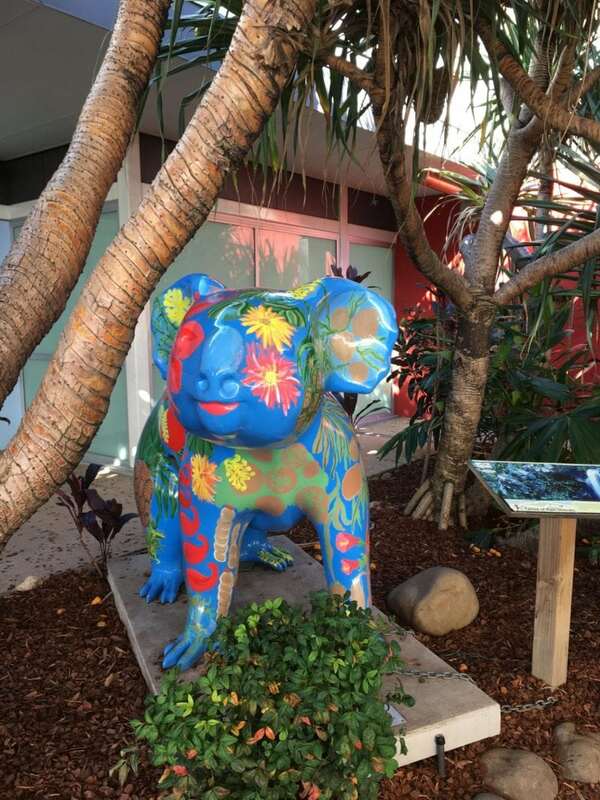 Right at the start of your Aussie adventures, you’ll be greeted by the colourful koala at the airport. The Sunshine Coast boasts one of the most scenic shorelines ever in Australia. 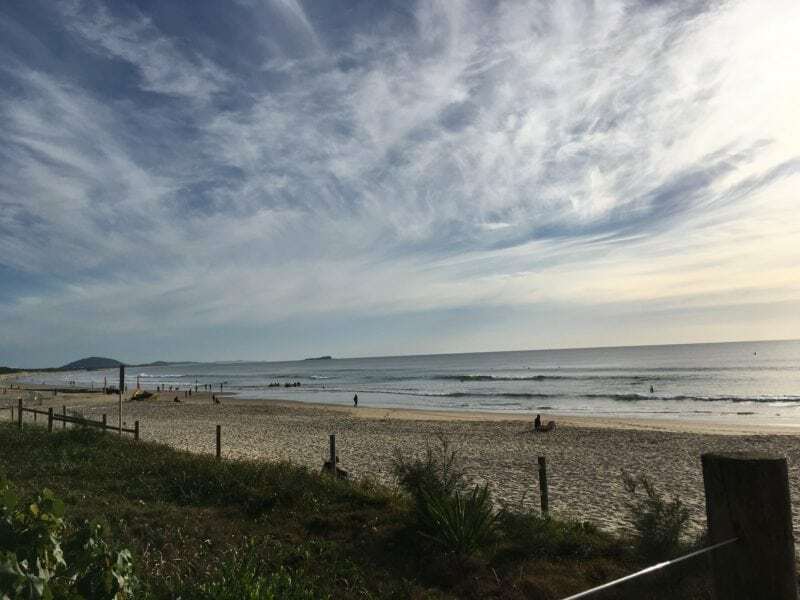 From Mooloolaba, Maroochydore, Caloundra to Noosa, you’ll be spoilt for choice when it comes to beaches. Their names can be quite a mouthful for non-locals but you will get a hang of it after a while. 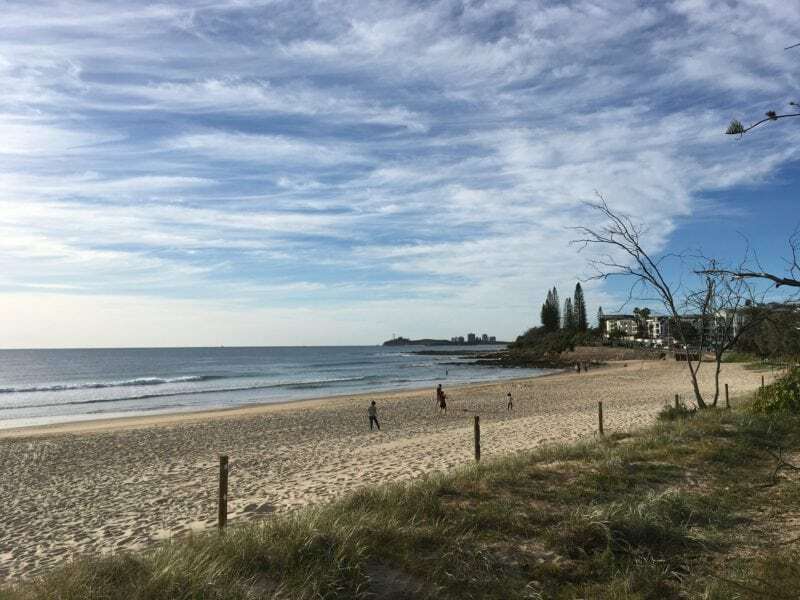 Among the loveliest beach is Mooloolaba beach where the skies are a brilliant blue, the sea an effervescent green and sandy white beaches make for a wonderful day at the beach. 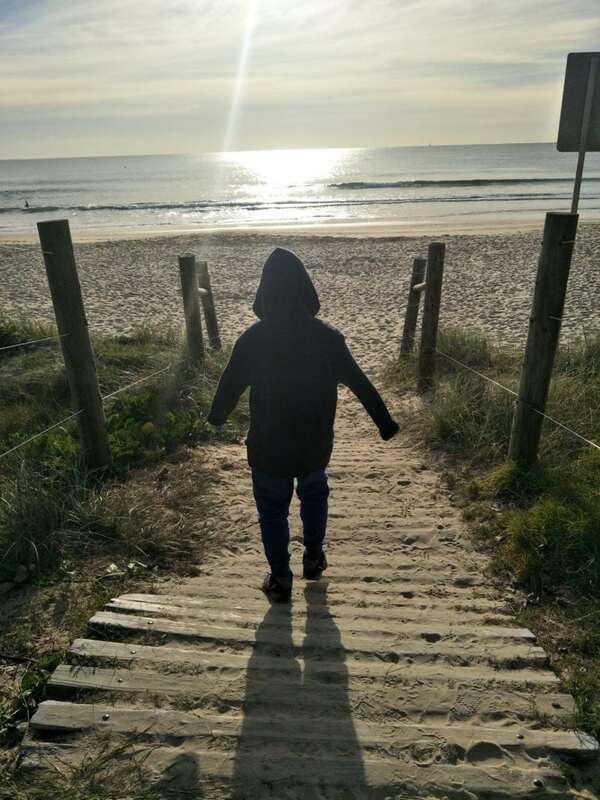 Just hearing the waves roar is an invitation to walk along the shores, go build sandcastles, pick lovely seashells, do yoga by the beach or simply rest and relax by the sea. It is a public beach and so beautifully maintained. The best part is it’s free. Adding to its charm are the amazing rock pools worth exploring with all your little scientists in tow. They are wondrous micro-habitats of remarkable sea creatures. 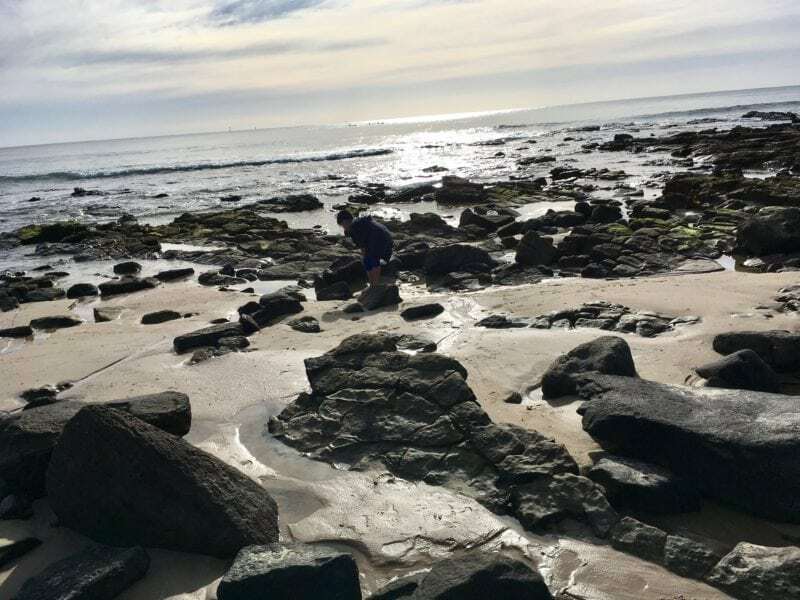 Just dig a little and you may come across the common crab, worms, sea slugs, different types of seaweed and even the common starfish. Don’t be disappointed if Hank the septopus does not show up. Take insta-worthy photos all along with the beach with the scenic cityscape in the backdrop. The wide array of shops and eateries just across the street make for delightful dining, quick eats and convenience shopping. Go where the sweet scent of strawberries leads you. Strawberry Fields on the Sunshine Coast is open to public all year. 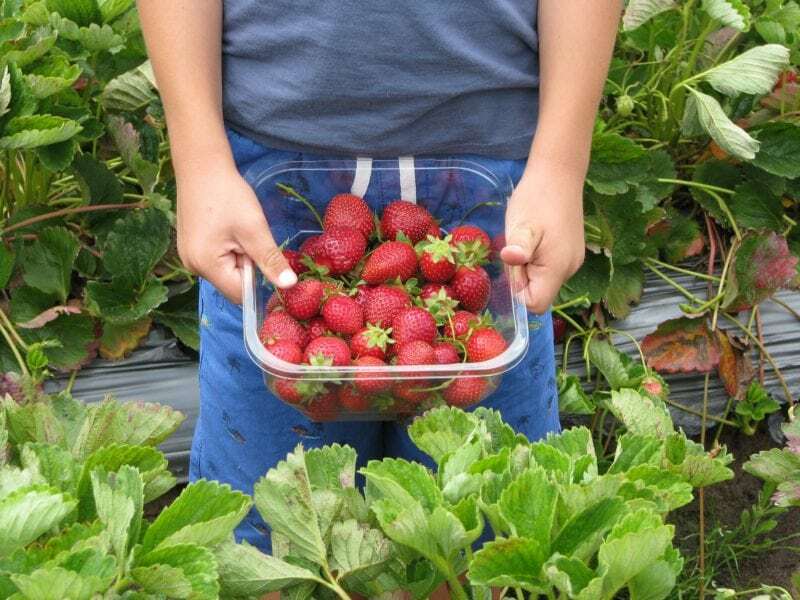 Better than buying them at the fruit grocers, come to the source and get the family to pick strawberries right from the strawberry patch. Just pick, place under the tap for a quick rinse and pop into the mouth for a taste of the freshest strawberries. Admission and parking are free. However, visitors planning to bring home their basket of strawberries have to pay what they’ve picked. Prices depend on weight and current market prices of strawberries. Fun for kids as they can roam the strawberry fields and run about the tractor playground. Parents can rest their feet and sample more treats at the Cafe which serves strawberry delights and barista-brewed coffee. Should you be tired of supermarket shopping, then head to the marvellous markets all along the Sunshine Coast during the weekends. 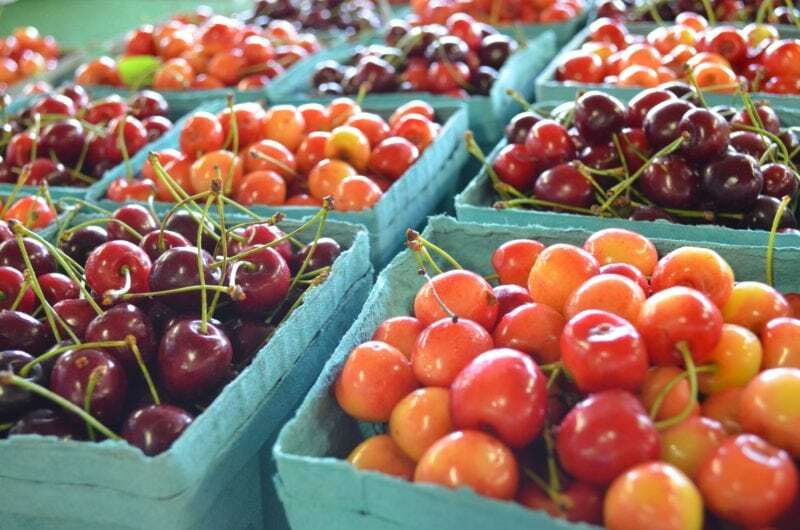 Here you’ll discover fresh produce, organic food, artisan crafts, hipster glad rags, great coffee and so much more. Better yet, admission is free and everything purchased supports the local farmer, local business and local community. A quick check with your local guide will reveal all the markets nearest your place of stay. What’s popular are the Friday markets at Maroochydore aptly named Nights on Ocean happening on the second Friday night of each month. Saturday markets like the infamous Eumundi Markets attract huge crowds of locals and tourists seeking all made in Australia goodies that are only available on the coast. Sunday markets include the Vegan Markets at Nambour, Noosa Family Markets and Peregian Beach Markets. Get ready to shop till you drop! 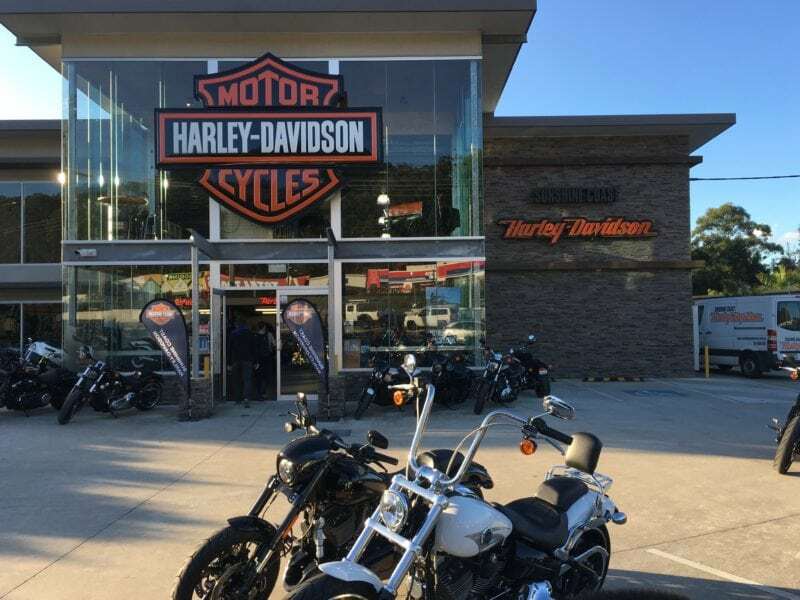 Bike enthusiasts will be thrilled to know that the Sunshine Coast Harley-Davidson is one of the friendliest across the world. Featuring a wide range of motorcycles, it’s relatively easy to book a ride and explore the coast Harley-style. Having a superb array of motor clothes and merchandise, the friendly crew will guide you to their value buys and on sale items without even asking. With junior hell riders in the family, the store kindly allowed the kids to climb on almost every bike and take photos aplenty. 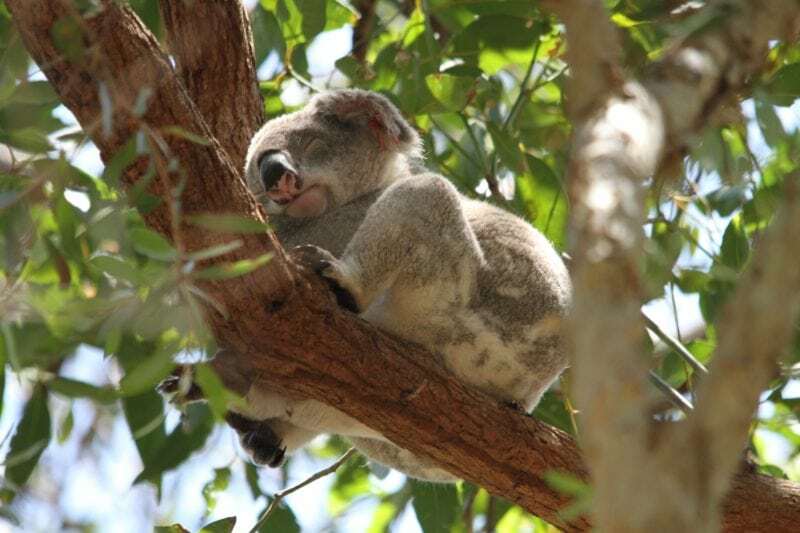 Surfers’ Paradise, Dreamworld, Sea World and Wildlife’s Park define all that’s gorgeous in the Gold Coast. When in search of free and budget-friendly adventures, you should not give these other attractions a miss. 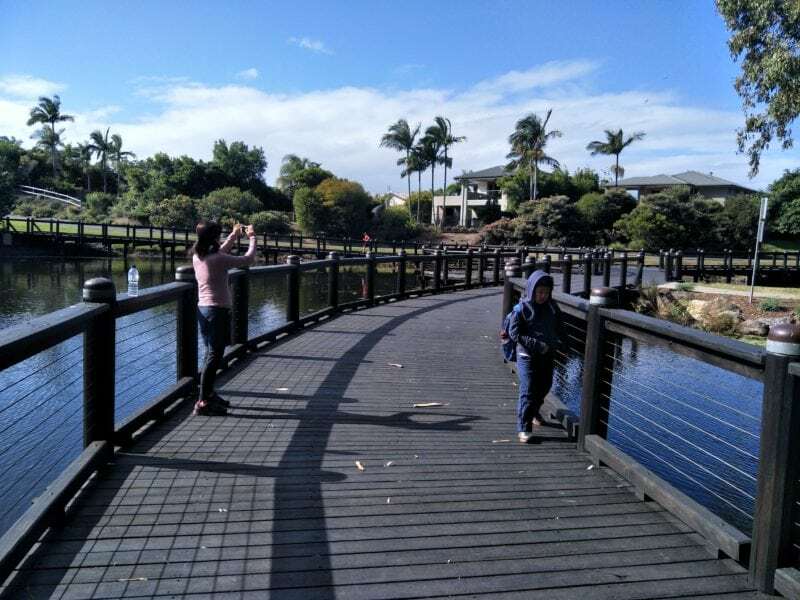 One of the most endearing and all-encompassing botanical gardens in the world, the Gold Coast Botanical Gardens is a beautiful place to spend the day. 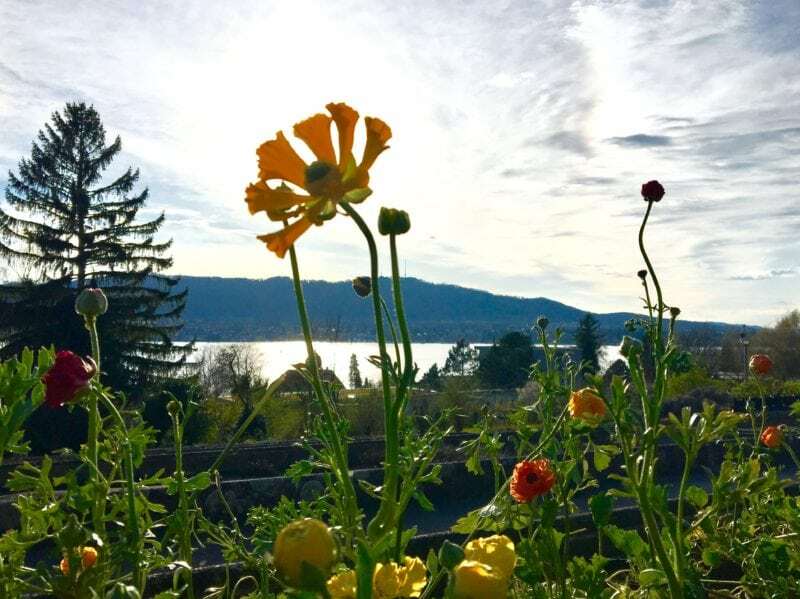 The free to visit park has free parking, lush gardens ranging from the Sensory Gardens to Butterfly Garden and Rose Garden. Visitors are greeted by a lovely lake brimming with fish, ducks, swans and cranes when they enter. Meandering bridges across the lake bring you to different parts of the Garden. Set off to the Mangroves to Mountains walk or simply roam along the nature trails that lead to exciting discoveries. Kids will love the open spaces, picnic spots, outdoor covered playground and bird watching the variety of birds that flock to the Garden. In need of refreshment? The cafe on the grounds serves good coffee, pastries and gelato to satisfy all cravings. Open all year from 5am to 7pm, it’s one of the parks in the city that’s easily accessible and complimentary. Catch the magnificent sunrise and sunset along the Isle of Capri Waterways, a hidden gem in the quiet suburbs where locals go kayaking, fishing, crab catching and feeding the variety of seabirds that fly by. It’s a popular place for jet ski, sailing and boating adventures too. Walking along the waterways is a most relaxing way to end the day. The kids can spend their evening hunting for nocturnal creatures that come ashore by twilight. 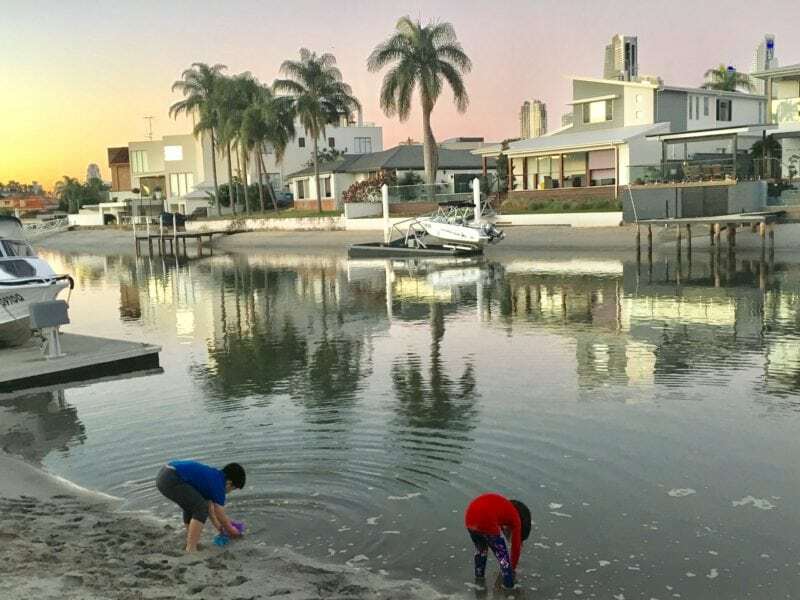 The calming waters, sandy shores and skies are free for everyone to enjoy. 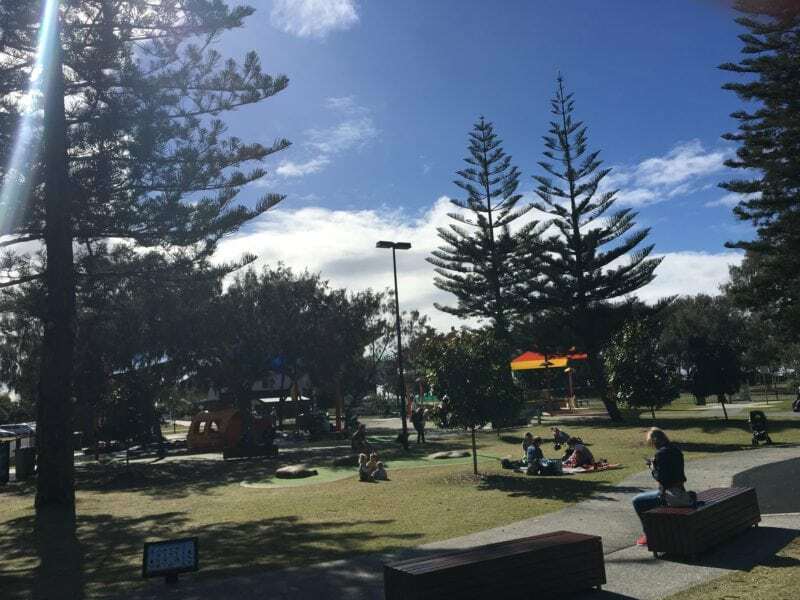 A fabulous free-to-public park with a huge playground, Kurrawa Pratten Park is a must-do on your list. 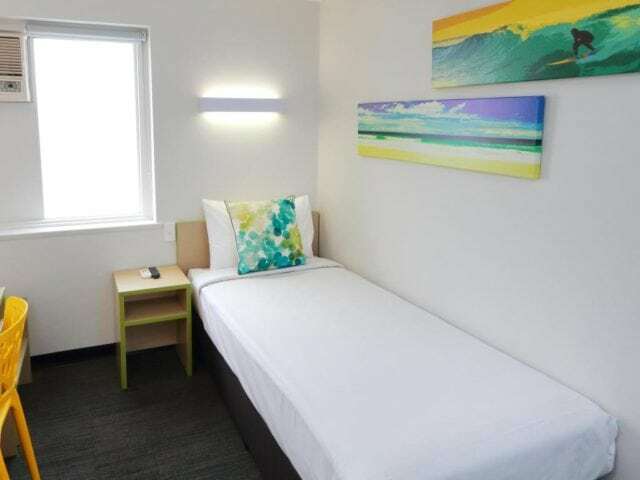 Located right on Broadbeach, the whole day can be spent catching the waves at the beach, prancing around the playground and shopping at The Oasis mall next door. 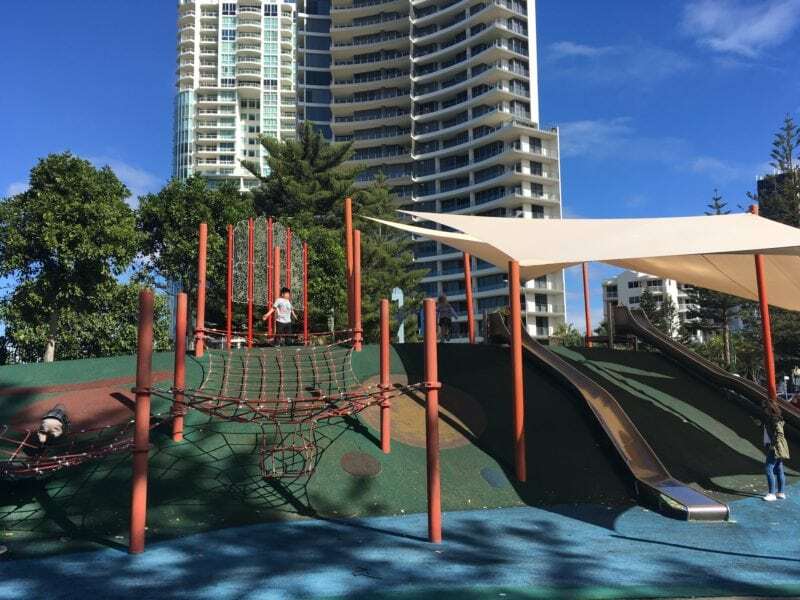 The park features Gold Coast’s first all-abilities playground with slides, climbing hills, swings, sand castle pits, trampolines and features for kids of all ages and abilities. It’s not uncommon to hear laughter and cheer in the air all day while parents relax by the lawn. The playground is secured by perimeter fencing and accessible by a gate that can only be unlocked by a grown-up. 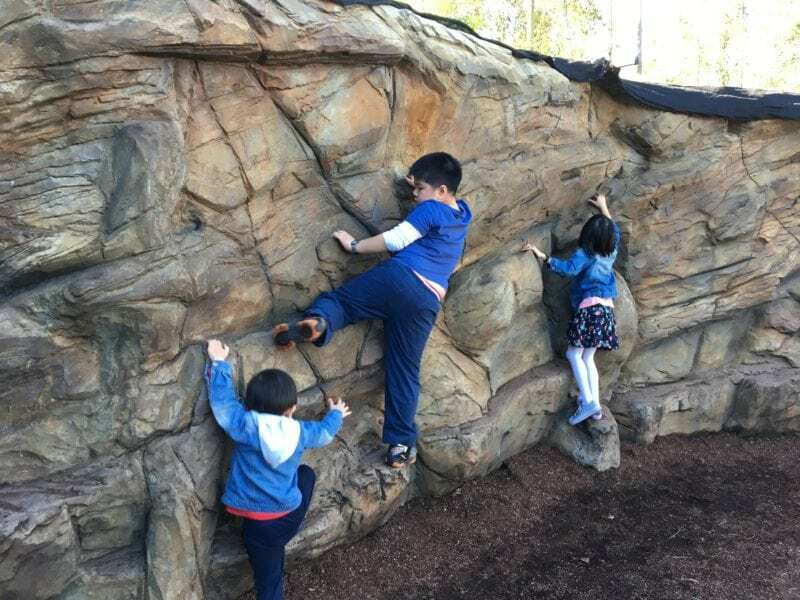 There are plenty of neighbourhood playgrounds in the suburbs worth exploring as well. 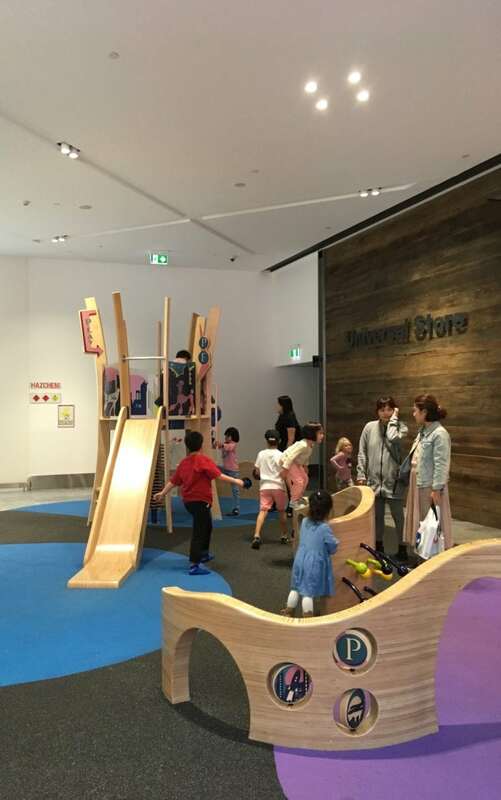 Most popular malls have indoor and outdoor play areas to entertain the kids while you go shopping. 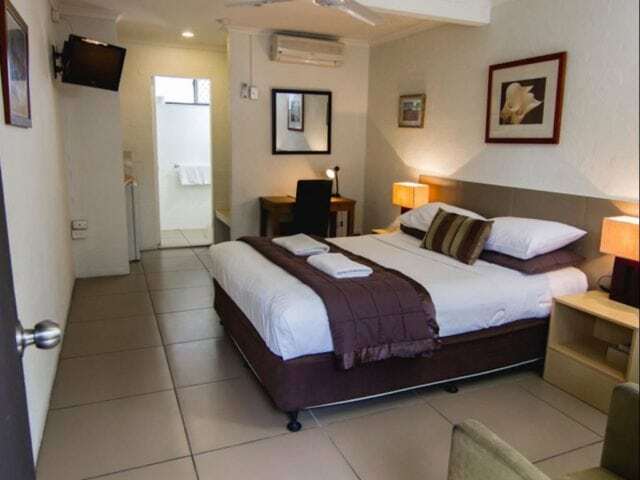 Among the family favourites are Harbour Town located at Biggera Waters for outlet shopping. It has not 1, but 3 McDonalds’ around its premises. 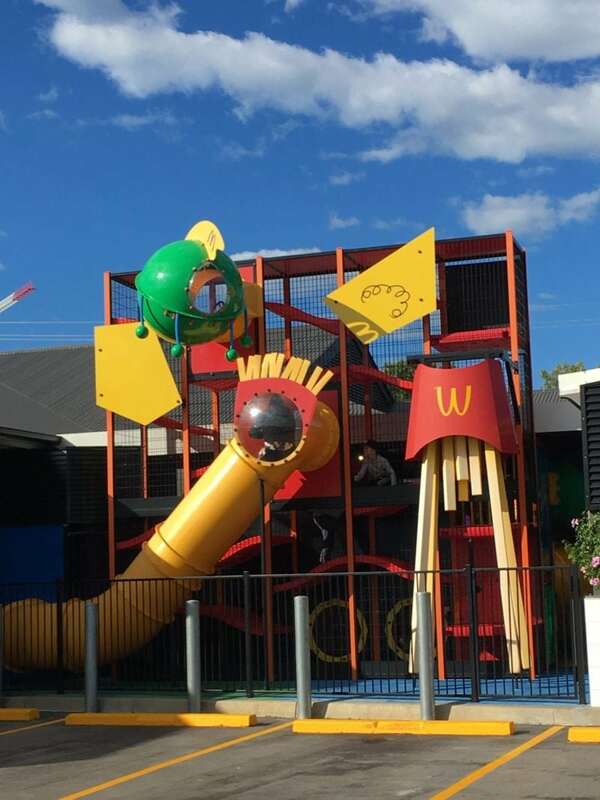 Head for the “Macca” in the south side where the kids get to enjoy the wonderful playground area inside. Another fantastic mall is Pacific Fair shopping centre located at Broadbeach Waters. 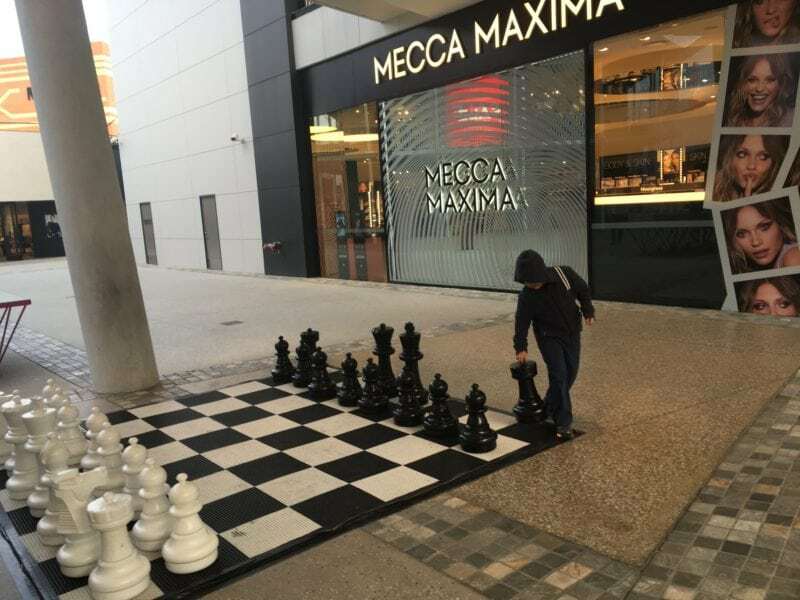 Here you can shop till your heart’s content and let the kids explore the indoor playground, outdoor landscapes, cascading waterfalls and outdoor chess with kid-sized chess pieces. Just a short drive from the ever popular Sea World is a cove definitely worth exploring. 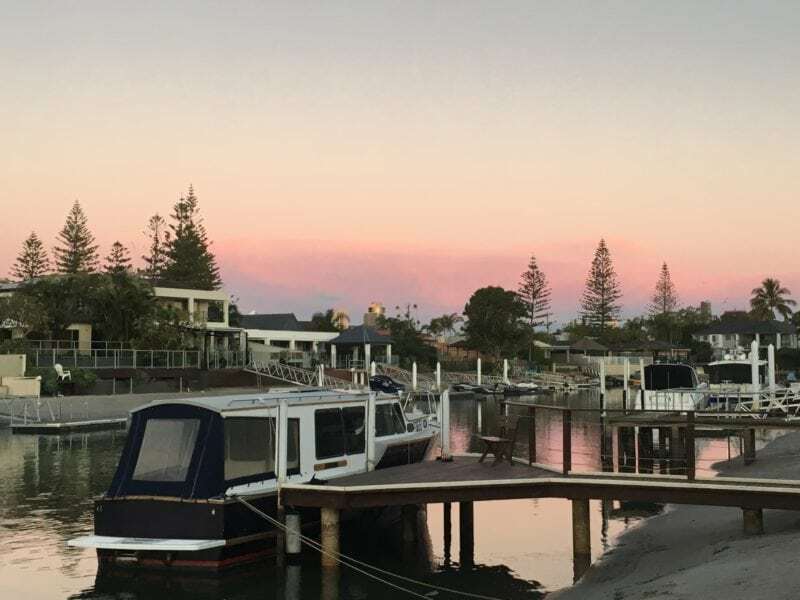 Boasting a marina for the yachting community, the Cove is also famous for jet boating, parasailing, sports fishing, whale watching and cruising the canals. Admission is free. Tour and adventure packages are chargeable. Just next to it is the Marina Mirage shopping centre with many posh restaurants fronting the sea. 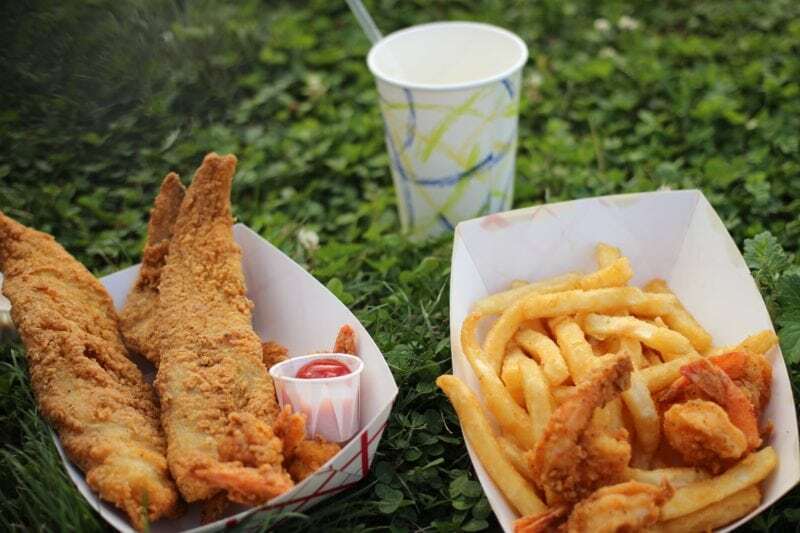 While dining there may be expensive, packing your own lunch and enjoying it by the public picnic areas around the cove is far cheaper. Mariners Cove is also popular for delicious fish and chippy at the local taverns where you can order it grilled, battered or breadcrumbed. Great tasting seafood is widely available. Simply select the seafood of your choice and the chef will rustle up your meal, at prices far more affordable than in the city. Just before your head home via Coolangatta Airport, do drop by the Jellurgal Aborigine Centre. It is the one place to learn about aboriginal history and culture in the Gold Coast as well as hear Dreamtime stories. 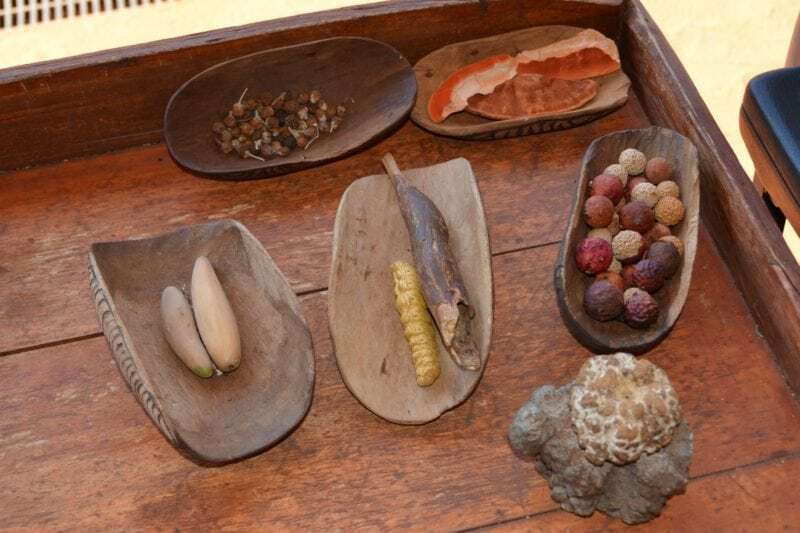 Guests get to learn about the Yugambeh people, their bush foods and lifestyles connected with the land. Entrance is free, however, Jellurgal guided tours are chargeable.